Vuleka St Michael’s opened in 2010 as a full primary school offering Grades 0 to Grade 7. At Vuleka St Michael’s our objective is to meet the needs of the children. Our staff are enthusiastic in our approach to teaching and learning. The emphasis is on having fun while we learn new things. Ballet, Hip Hop, Music & Swimming are activities that are offered at a small fee ~ to cover the cost of a private coach/facilitator. We are very fortunate to be able to make use of the Agape sports fields to give us the extra space that is needed for some of these activities. There are also a number of volunteers who assist our pupils with reading and remediation in other subjects. 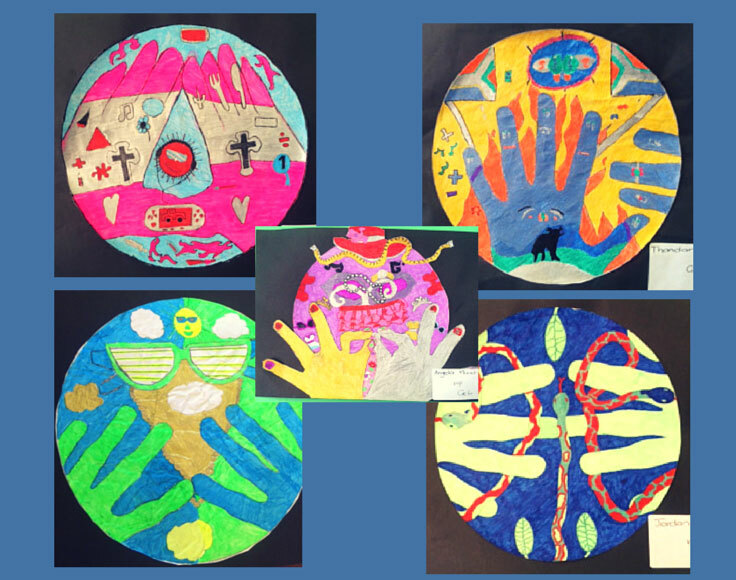 The amazing hand artwork by pupils from Vuleka St Michael’s.